Stein’s Berlin is a new and exciting city addition to the well loved and family owned group of Stein’s German restaurants. Stein’s Berlin in Kensington is a modern contemporary restaurant with an elegant twist inside this Grade 2 listed building also features a fantastic terrace overlooking Princes Gardens. Stein’s Berlin is probably the only restaurant in London where the highest level of German cuisine is delivered not only for German clients, but for all the visitors looking for authentic German food. 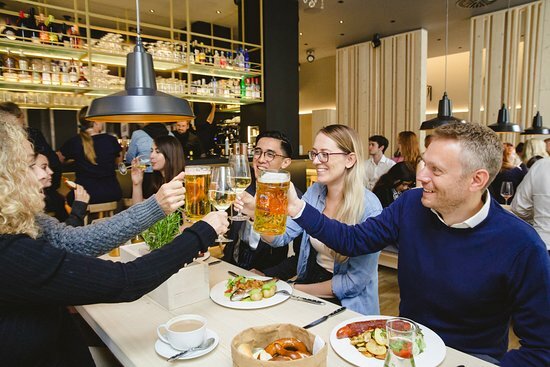 Visit the Stein’s Berlin in the heart of South Kensington near Hyde Park, Royal Albert Hall, Imperial College University, the Natural History, Science and V&A Museums.